It’s brim full at The Gov, standing room only, and the faithful await the arrival of the one and only Billy Bragg. This show’s advertising hinted on this being a back-to-basics affair, and those who have come along hoping that this would indeed be the case aren’t disappointed. The focal point of the show appears to be Bragg’s earlier works. For many, those early days are where this enduring love affair began. Songs from the first four records fill the set, as well as a few other early gems like Bragg’s version of The Smiths’ Jeane. Even when armed with nothing more than his (deliberately) distorted electric guitar, the poignancy of beautiful songs like St Swithin’s Day and The Price I Pay cannot be missed. It would be wrong to underestimate Bragg’s worth as a songwriter while focusing on him as a spokesperson. Bragg laments the state of the political world presently; half-joking that he doesn’t need to write any new songs because his existing works are every bit as relevant today as they were when they were written. Mid-way through the set, Bragg switches to his acoustic guitar and this writer wonders if we are about to dip into more recent musical waters. Apparently not, as Bragg performs a lyrically updated version of the Bob Dylan masterwork The Times They Are A-Changin’. Tinkering with a classic can be risky, but this rendition is both excellent and pertinent. She’s Got A New Spell, another song from 1988’s Workers Playtime LP, enjoys particularly warm applause. After half a dozen acoustic songs Bragg reverts to his Telecaster. “It’s like a runaway train, this gig,” Bragg jokes. He’s in good humour, riffing along with the comments coming from the throng. He is obviously enjoying the liberating effect of being on stage in solo mode, playing whatever he likes to an appreciative audience. Lyrics are updated, some songs are delivered in “crazy, bash ‘em out Bragg mode” but all of this just adds to the special feeling that this evening has for all those present. Bragg namechecks US singer-songwriter Anaïs Mitchell, before he delivers her brilliant number Why We Build The Wall. He speaks passionately about empathy and activism bringing about solidarity, and the congregation concurs emphatically. He then returns to more familiar musical territory with a superb five song climax. Accident Waiting To Happen, The Milkman Of Human Kindness, Levi Stubbs’ Tears, Between The Wars and There Is Power In A Union leave everyone pretty-much spent. The evening concludes with a two-song encore. Must I Paint You A Picture? has been anticipated, and the show was always going to conclude with A New England, wasn’t it? 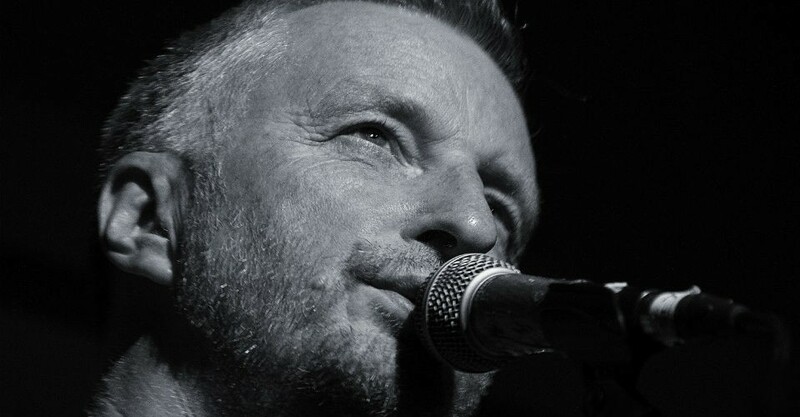 It’s been a wonderful two hours and Billy Bragg has once again demonstrated that he possesses a magical ability to hold an audience in his thrall, no matter what songs he is playing or which performance mode he has chosen.